Six whole years ago, Adele released her second album, 21, and we’ve never stopped hearing about it since then. As of this week, she now owns the record for the longest-charting album by a woman. for the most weeks on the Billboard 200 chart for an album by a woman, as the 2011 album notches its 319th week on the list dated April 15, beating Tapestry’s 318 weeks. 21 (which is No. 103 on the latest chart) has been on the tally every week since its No. 1 debut on March 12, 2011. The album spent 24 nonconsecutive weeks at the top. 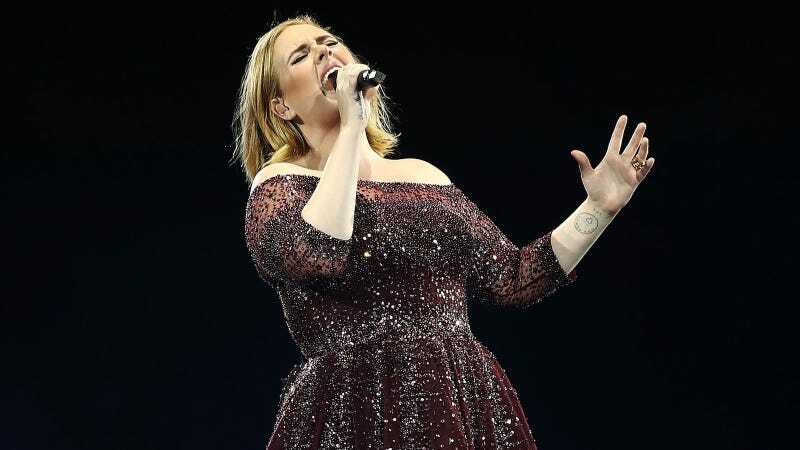 This is yet another record for Adele, whose latest album, 25, was the biggest selling album of 2016 and also achieved diamond status (10 million sales) with the RIAA in just 10 months. Crazily enough, 25 got to diamond even faster than 21, which took two years. Like cockroaches, Adele’s albums can likely survive anything, including nuclear war.